Is Trump's Travel Ban Succeeding despite Court Blocks? Is Trump’s Travel Ban Succeeding despite Court Blocks? The rate of refugee resettlement has also seen a sharp decline. Despite federal courts halting Trump’s restrictive and discriminatory travel ban executive order on six-Muslim majority countries for the third time on Monday, the number of visas issued to travelers from these six predominantly Muslim countries has plummeted, U.S. State Department data revealed. According to Roll Call, the drop in numbers is partly attributed to the denial of visas in cases where they were processed without issues earlier. The discrimination against the travelers from these Muslim countries seems to be taking place without a travel ban in place. 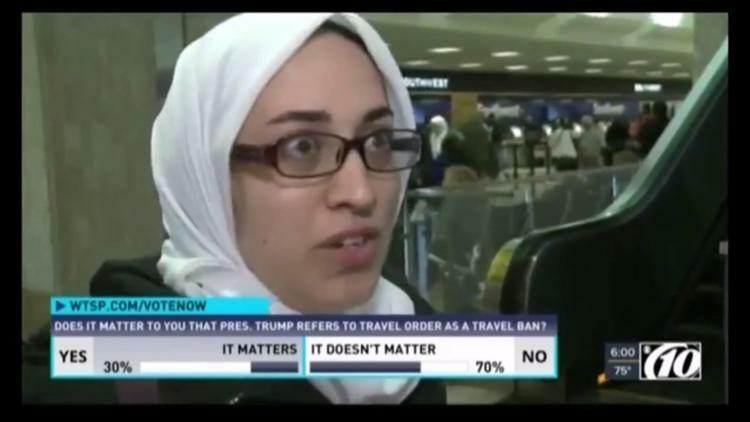 As a result, the travelers from the six majority-Muslim nations targeted by the executive order appears to be slowing down dramatically. There were 2,551 non-immigrant visas issued to nationals from these countries in March while in April, there were only 2,013 visas issued to travelers from these countries. The six Muslim-majority countries targeted by the Trump administration’s executive order are: Iran, Libya, Sudan, Somalia, Syria and Yemen. During the same time in 2016, the number of visas issued on an average was 4,454 visas per month for foreign nationals from the six countries. It’s not just the “banned” predominantly Muslim nations that have seen a decline in the number of visas issued, Pakistan saw a staggering decline too. According to Times of India, Pakistanis were only issued 3,973 visas in March and 3,925 in April, which is 40 percent less compared to the Obama administration’s monthly average of 6,553 visas issued to people from Pakistan. David Lapan, the Department of Homeland Security press secretary, said the DHS has implemented some new vetting procedures in accordance with a section of the March 6 order that was not affected by the courts, Roll Call reported. “Section 5 allows us to continue to work on uniform vetting and screening procedures for all countries, including the six named in the second EO,” he told Roll Call, in reference to the revised executive order. “We have made some changes under that section of the order and we’ve identified other possible improvements.” The changes have not been made public, Lapan added. According to the State Department figures, U.S. has admitted 46,607 refugees in fiscal 2017 as of June 5, out of which an estimated two-thirds arrived before Trump signed the first travel ban on Jan 27. An estimated 6,225 Syrians were expected to come into the United States since Oct. 1, but only 1,341 have entered ever since Trump took to the office. The New York Times reported that part of the reason was due to budgetary constraints but the quota has been lifted since May this year. As part of Trump’s “extreme vetting” measures for the visa applicants, starting May 25 a new State Department rule has given officials authority to seek five years’ worth of social media profiles and 15 years’ worth of biographical information as an additional scrutiny measure during the visa screening process for all “immigrant and nonimmigrant visas applicants who have been determined to warrant additional scrutiny in connection with terrorism or other national security-related visa ineligibilities,” according to ABC news. It is not known that whether the “additional scrutiny” caveats will be based on nation of origin or religion, but the department will not use social media profiles to discriminate based on nationality, religion, race, gender, sexual orientation or political views, ABC reported.